The Ishomilken system in the Citadel region hosted an event by EVE-Bet which saw multiple fleets from across New Eden clash over a tower filled with goodies. With more than a thousand players fighting over 180 billion ISK in ships and fittings, the field quickly descended into utter chaos under 10% Time Dilation. For the past month, Psychotic Tendencies. [TISHU] has been waging war against SpaceMonkey’s Alliance [SMA], this battle serving as just another minor clash between the two as a Psychotic Tendencies Confessor tactical destroyer fleet met a SpaceMonkey’s Alliance Caracal cruiser fleet and later a Hurricane battlecruiser fleet in the E9KD-N system of the Fade region. Wormhole resident OpSec. [OPS3C] found an exit to the Imperium region of Tribute in their home system and invited the local residents to fight them. The Bastion [BSTN] took the challenge, bringing a Hurricane fleet against the mixed armor fleet of OpSec. Another battle between Imperium forces and Psychotic Tendencies, this time in the W-4NUU system of the Cloud Ring region, where a Psychotic Tendencies Confessor fleet engaged an Imperium Jackdaw tactical destroyer fleet. A Pandemic Legion [-10.0] covert ops fleet engaged a Vanguard Coalition Cerberus heavy assault cruiser fleet as well as a small dreadnought force attempting to reinforce a tower in the QBZO-R system in Etherium Reach. In recent weeks, the Detorid region has become a battleground for Test Alliance Please Ignore [TEST], the Vanguard Coalition and Stain-Wagon Coalition, as the three sides fight over the moons and systems of the region. One recent engagement saw Test Alliance Please Ignore’s Maelstrom battleship fleet engage Vanguard Coalition’s Machariel battleship fleet and Stain-Wagon coalition’s Tengu strategic cruiser fleet, with a surprise visit from a Pandemic Legion Proteus strategic cruiser fleet as well. A battle over a tower in the Vard system of the Heimatar region saw Did he say Jump [JMP-N] and the Amarr militia clash with Dead Terrorists [IKILU]. The former brought a Machariel fleet as well as a mixed Sacrilege heavy assault cruiser and Augoror Navy issue cruiser fleet against the latter’s Proteus fleet. The Hakonen system in the Lonetrek region continues to be a major battleground between low security space entities such as Project.Mayhem. [16-13], Snuffed Out [B B C] and the Imperium. The different low security space and Syndicate region alliances have formed a loose coalition dubbed as Low Sec Voltron, organizing joint fleets to repel the Imperium’s invasion. This time Imperium Hurricane and Jackdaw fleets faced a Low Sec Voltron Machariel fleet, aided by a Pandemic Legion Tengu fleet. With Pandemic Horde [REKTD] living in the Querious region, the Imperium’s Reavers Squadron has deployed to the area, seeking to fight the local powers. This has led to the two sides clashing repeatedly, with one engagement captured on video here between Pandemic Horde’s Ferox battlecruiser fleet and the Reavers Squadron’s Ishtar heavy assault cruiser fleet. The A2-V27 system in Querious is no stranger to violence, especially since Pandemic Horde has made it its capital. On the 6th of February the system saw Pandemic Horde’s Ferox fleet, with the aid of a Northern Coalition. 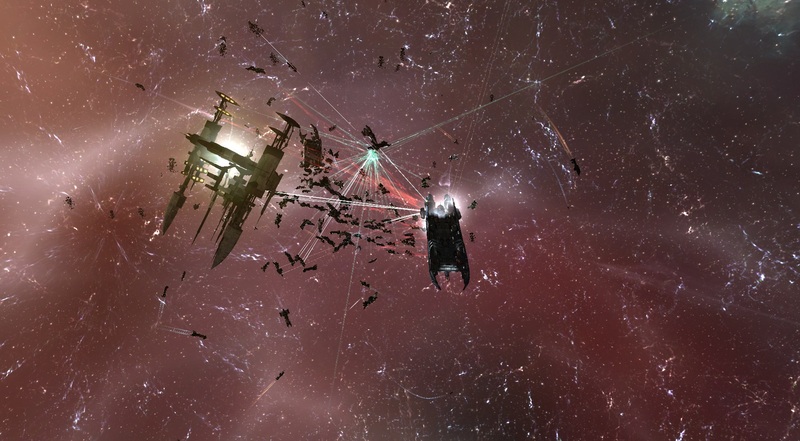 [NC] Proteus fleet, engage a Stain-Wagon coalition Typhoon battleship fleet in a bloody exchange on the Kaira gate. I would like to thank you for the efforts you’ve put in writing this website. I’m hoping the same high-grade web site post from you in the upcoming as well. Actually your creative writing abilities has inspired me to get my own blog now. Really the blogging is spreading its wings rapidly. Your write up is a great example of it. Wow! accidentally came across this cool and tidy blog of yours. Felt inspired and will drop by again when there is brand new articles or topic posted by you! There are other related info which you can find at Piermont Grand EC. Do take a look too! What are some great and also prominent sites for blog sites???. Wow! didn’t mean came across this amazing and tidy website of yours. Felt inspired and will revisit again when there is new articles or topic posted by you! There are other related info which you can find at Piermont Grand EC. Do take a look too! Howdy very nice web site!! Man .. Excellent .. Amazing .. I will bookmark your web site and take the feeds also¡KI’m glad to search out so many useful info right here in the publish, we’d like work out more strategies in this regard, thanks for sharing. . . . . .
kgfwWa I want to be able to write entries and add pics. I do not mean something like myspace or facebook or anything like that. I mean an actual blog..